1. 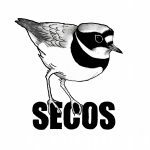 This Data Privacy Notice describes the personal data collected by South East Cheshire Ornithological Society (SECOS), why it is collected, how it is stored and used, and who it is shared with. 2. This Data Privacy Notice applies to SECOS members, and to non-members who take part in SECOS activities. Members and non-members are collectively referred to as "individuals". name, address, home telephone number, mobile telephone number, e-mail address and membership type. 4. Personal data stored by SECOS only includes that provided by individuals. - to provide individuals with such information that is deemed to be of interest to them. 6. Personal data is shared with SECOS committee members for the purpose of conducting the legitimate business of the society. Personal data for SECOS committee members may be published on the SECOS website. Otherwise, SECOS does not share personal data with any third parties. 7. Personal data is held on computer and is managed by the Assistant Secretary who is responsible for data security. Multiple backup copies are maintained. 8. Consent to storing and using personal data in accordance with this Data Privacy Notice is obtained from individuals during the annual membership application process. 9. Consent can be withdrawn by an individual at any time by contacting the Assistant Secretary in writing. 10. If there is a change in personal data, the individual is responsible for advising the Assistant Secretary, so that records can be updated. 11. This Data Privacy Notice will be reviewed annually.